Dutch ropes course design specialist gets the nod from US manufacturer. Over the past years, zip-lines and Flying Foxes have become very popular with people of all age groups , now not only forming an integral part of many adventure parks, sports and leisure facilities, playgrounds and climbing forests, but also being operated as a commercially successful standalones in many countries . "These days, it's high velocity zip-lines in particular, that serve as major customer attractions," confirms Ewout van Voorst, Managing Director of the Dutch specialist company Skywalker Adventure Builders, one of Europe's leading manufacturers of adventure parks and ropes courses. "It goes without saying that the safety regulation that apply to high-speed zip-lining are as strict as they can get. One the other hand, the degree of popularity of these features requires safety systems that provide ultimate safety whilst being extremely durable and easy to operate by park visitors. We want to maximise the customer experience by reducing queuing and downtime caused by inspection and maintenance work to the absolute minimum," adds van Voorst. "In this context, we are thrilled to have been selected as the EU-wide distributor of the latest state-of-the-art US climbing safety technology." 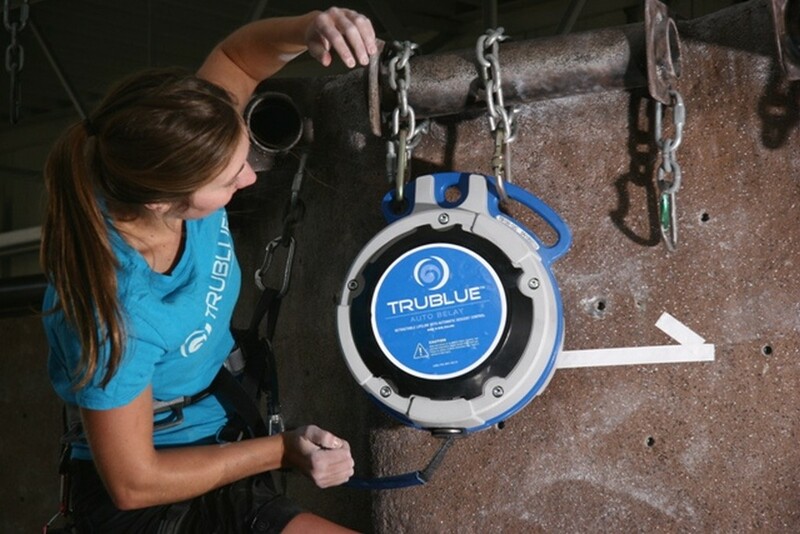 "Our zipSTOP technology surpasses all systems currently available on the market," explains John McGowan, CEO of the Colorado-based company TRUBLUE Auto Belays whose products are in high demand all across the North America. 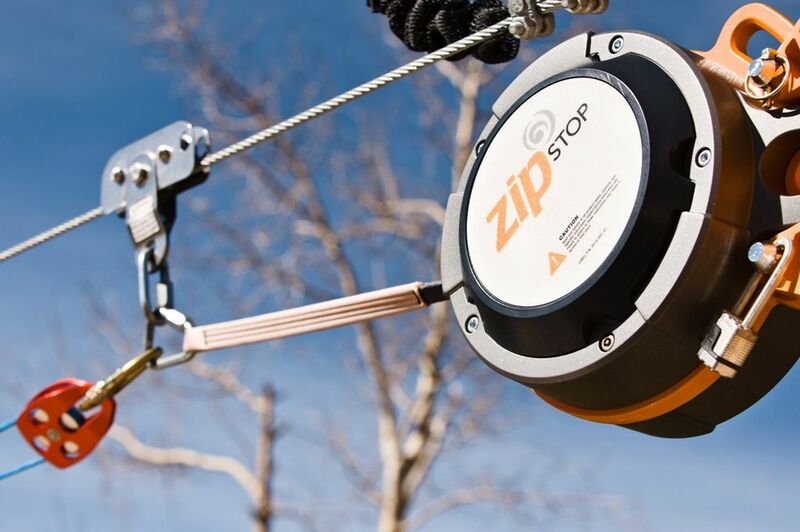 "Unlike most conventional zip-line decelerators that use compression springs, brake pulleys or even rely on manual deceleration by park staff , zipSTOP is based on a self-regulating mechanism involving magnetic deceleration that is entirely suitable for high velocity zip-lines." "A very innovative design indeed," confirms van Voorst. "And the main reason we were keen to become TRUBLUE's EU distributor." According to van Voorst, zipSTOP provides a whole range of additional advantages: "The system is very adaptable and, thus, can be used for a wide spectrum of different course layouts and constellations. 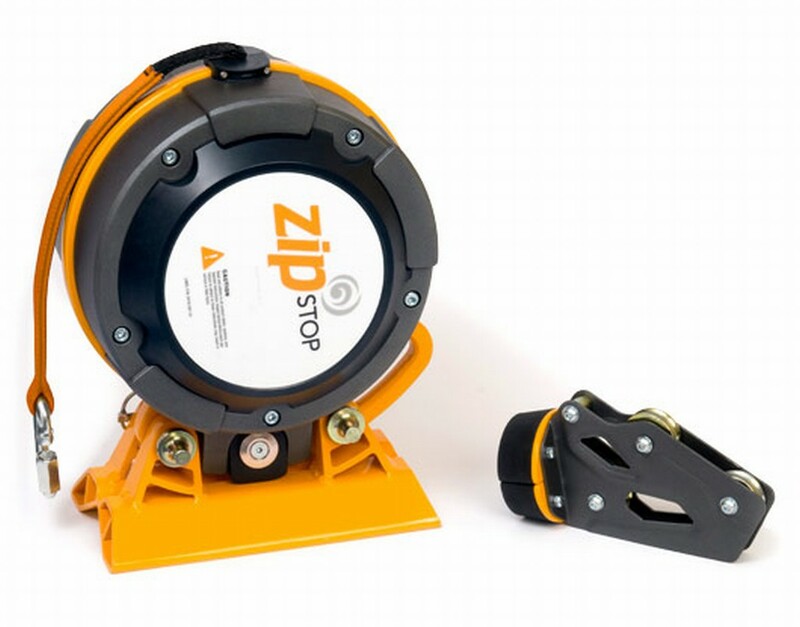 Furthermore, low running and maintenance costs make zipSTOP the perfect choice for commercially operated climbing venue." 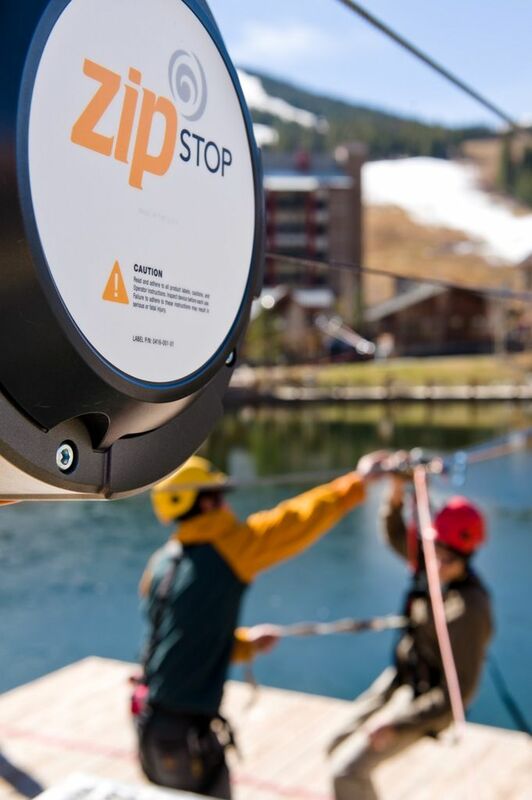 "zipSTOP has been developed especially to cover the maximum range of zip-wire speeds and body weights," says McGowan. 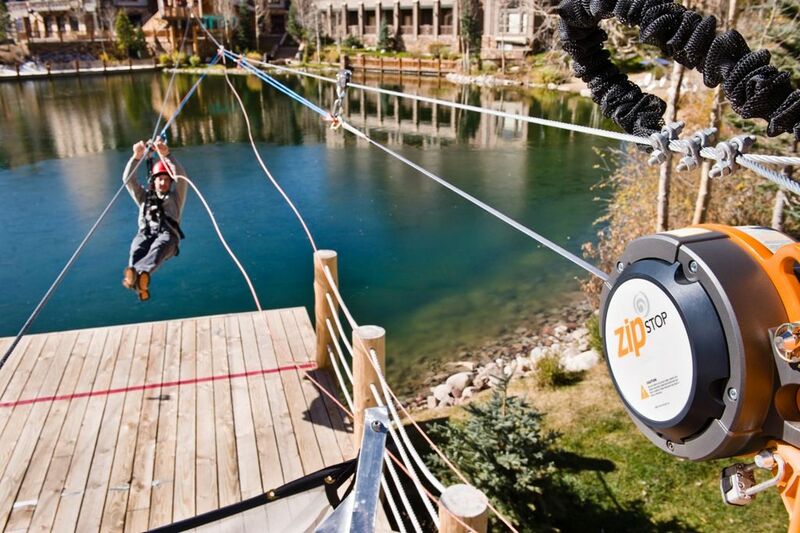 "The system makes sure that anyone between 2.3 and 23 st can fully enjoy zip-lining at a speed of up to 46mph without worrying about safety issues." And there is more. 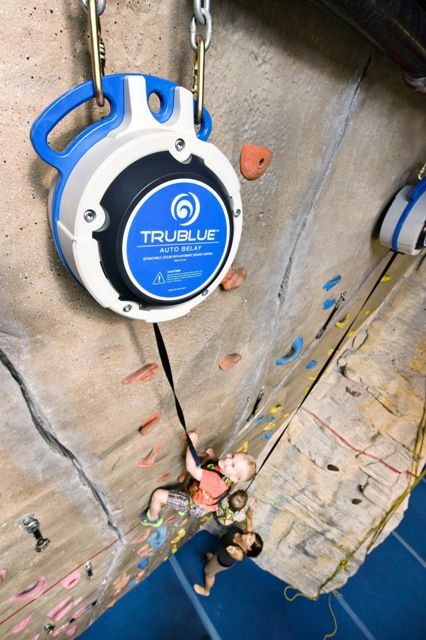 "Customer surveys show that 61 percent of our business clients who operate zip-wires either commercially or as community-run L & R venue and already use TRUBLUE technology recorded an increased number of visitors and participants, respectively," McGowan explains. 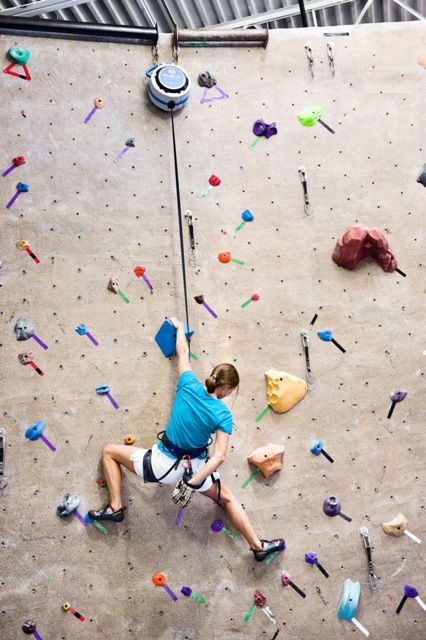 "Climbers generally prefer auto-belay systems," confirms van Voorst. 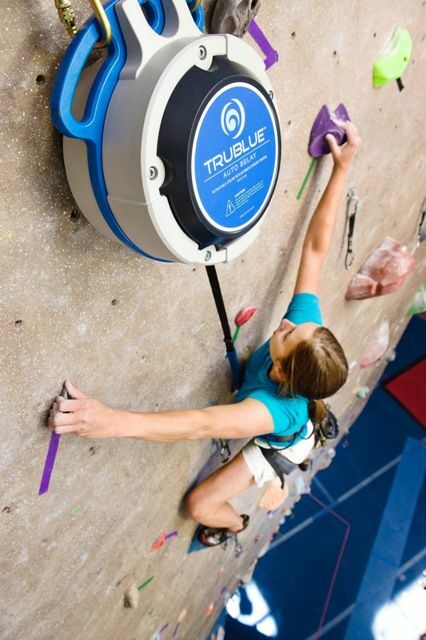 "TRUBLUE and similar technologies enable people to go out there and enjoy their climbing whenever they want – bringing a climbing buddy along, or waiting for course supervisors to become available to handle the safety aspects, is no longer required." The primary principles of magnetic phenomena provide the enabling technology for the braking system, which incorporates rare-earth magnets. All components have been engineered to provide exceptional design life with limited maintenance.